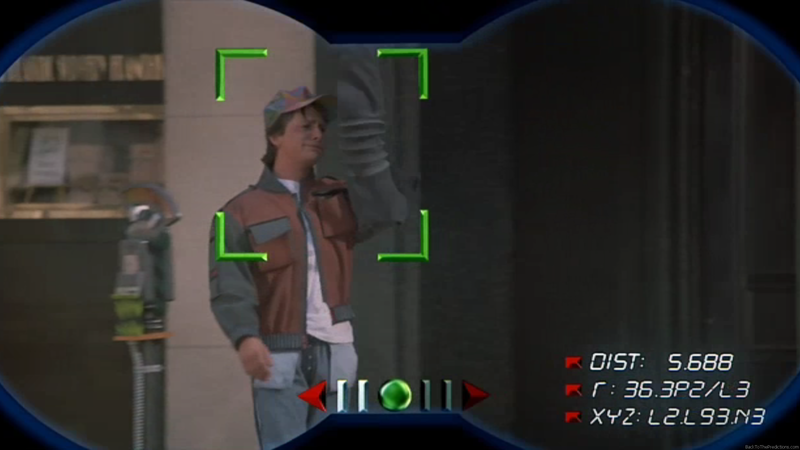 Doc’s Camera in Back to the Future 2 is Absurd. 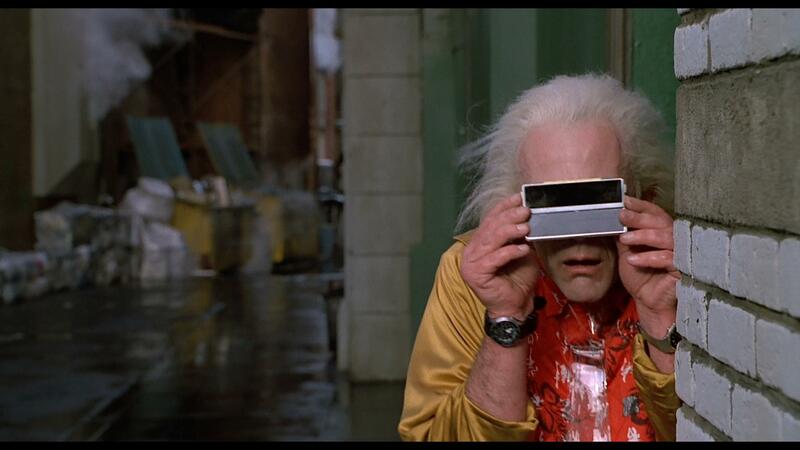 We’ve no shame in jumping on the Back to the Future Day train even if it is nearly over. However during our research we hadn’t found any other sources reporting on the cameras used in the epic trilogy – and we’re not talking about the JVC camcorder. 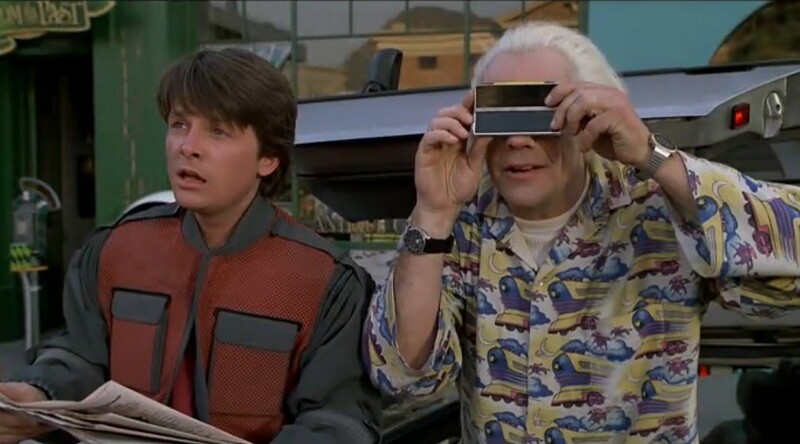 Those of you who remember the iconic sequel will recall a certain device the Doc is seen with early on. It’s known as the Binocular Card. There’s been plenty of efforts to analyse what the film got right and wrong, and despite every adolescent growing up with this imagination of the future in the mind it got a large majority of it wrong. Doc’s binocular card is no exception. What is remarkable is the clear lack of photography and cameras being used apart from in this instance. Sure there’s video calling interspersed with countless fax machines, but tweens snapping selfies, there is not. 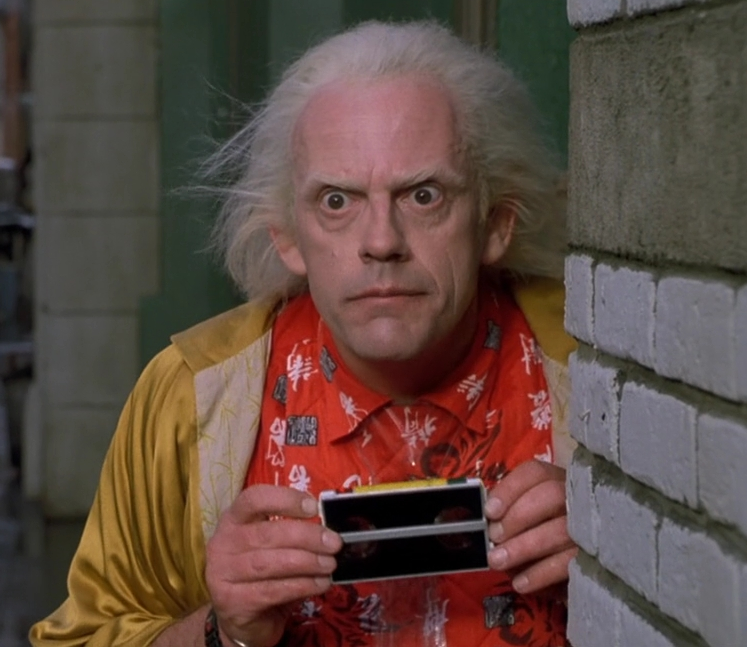 So in the one instance we are able to latch our camera hungry minds, what did Doc’s credit card sized camera actually do? It had the power to zoom in up to great distances, we’re not sure how the optics would work on that, perhaps the Light L16 camera is on to something? It also had the ability to take a still photo, making it the smartphone of the former future. But one thing it did get right is a computer’s ability to recognise faces. This is a technology that has existed for some time now and has only been increasing in power. Social media giants now use built in algorithms that recognise our faces, the back of our heads and even the way we wobble. Previous Article What would a Picture Book look like without any Pictures?